Students, recognize the signs of a scam job! Although we strive to approve legitimate opportunity only, scammers get more sophisticated; to be a savvy job hunter, recognize these scam tactics and think twice before giving away personal information. Keep these points in mind whenever you apply for a job through Handshake or any other open-market sources. 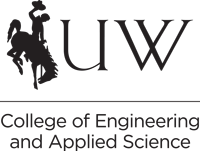 If you have any questions or issues logging in, please contact us at aces@uwyo.edu or at 307-766-2398.